Some gardeners live in fear of frost. Even as the days begin to warm, a surprise cold snap could mean the end of the road for precious tomatoes and peppers sown too soon. Growers in a handful of tropical areas may not experience such trepidation, but for most gardeners, the fear of frost is alive and well. 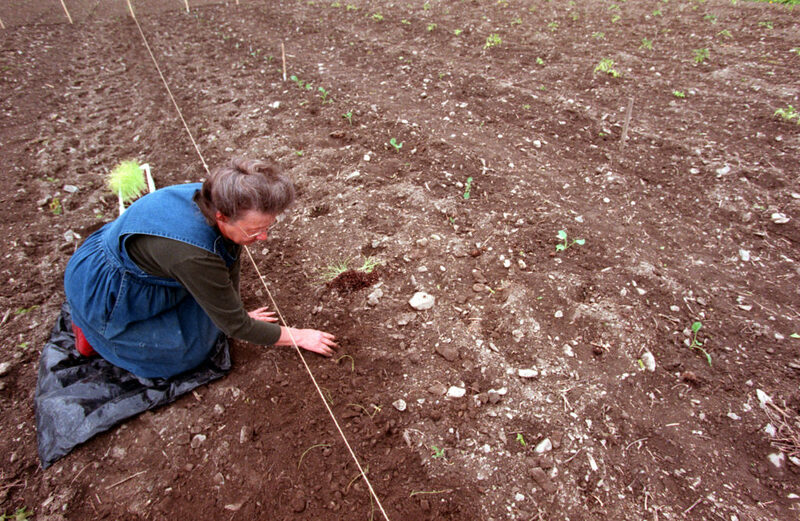 There are cold hardy vegetables that can be planted in your garden before, though. In fact, there may be more of them than you think. Certain cold-hardy plants can survive a light or moderate frost and prosper even if spring temperatures have not quite stabilized. These plants can thrive in cold soil temperatures, compared to their later season counterparts which need a warmer growing medium. These can all be sown directly into the ground once the soil has thawed enough to be workable. “Plants like carrots and even corn, they are really hard to transplant and they will germinate right into the soil anyway,” said Wendy Wilber, statewide Florida master gardener coordinator at the University of Florida. Some long-season seedlings can also be planted before the last frost. Broccoli, beets, cabbage, cauliflower and kale can all be started from seed indoors before bringing them out several weeks before your projected frost-free date. Seedlings should be “hardened off,” or brought outside to face the elements during the day for about a week before you transplant them in order to let the plants acclimate to the elements. If you do not start your plants from seed, you can still purchase seedlings from a nursery to plant before the last frost. Just make sure those plants have been properly hardened off as well. Some perennial crops can be planted before the last frost-free date as well. “Things like asparagus and rhubarb and strawberries, and woody plants like blueberries, raspberries and fruit trees do better if they’re planted a little bit early,” Garland said. To avoid planting too early, be sure to check the last frost date for your area. You can call your local cooperative extension for the information, but there are a number of online search tools that will provide the projected last frost date based on your zipcode. The National Gardening Association provides a range of dates and the probability of freezing or below freezing temperatures for each based on data from the National Oceanic and Atmospheric Administration. Dave’s Garden’s search tool does the same with data from the National Climatic Data Center. Precision can be important when avoiding frost, especially for cold, northern climates. Garland recommends exercising caution. Garland said to look at the current weather patterns and projected forecast about a week before you plant as well. The growing season starts earlier and the risk of a surprise frost late in the season is lower in warmer states, but it is still important to be vigilant. There are season extenders that can help protect your crops in case of any unexpected cold snaps. “You may get caught by a light freeze. Be ready, because mother nature is mean and she likes to laugh at us,” Wilber said. “Have your season extenders in place whatever your favorite one is.” Wilber said her personal favorite is a frost cloth to cover plants in case of a cold weather emergency. When exactly you will plant or transplant your crops before the last frost will depend on where and what you plant. For example, broccoli can usually be planted two weeks before the last frost date, while cabbage and collards can go out about four weeks before. To ensure proper timing, you can use a handy planting calculator like this one from Johnny’s Selected Seeds, or contact your local cooperative extension for more resources. If you are looking to maximize your yield, Wilber said it is best to have a plan. Keeping track of where you grow which crops also helps you prevent growing the same things in the same spots season after season, which can cause fungal pathogens and insects to build up. Even though there are lots of options for planting before the last frost-free date, Garland said not to feel pressured to start too early. Is there anyone in central Maine preparing an unheated greenhouse for use this spring? Looking for someone to peek over their shoulder (through social media) to see how they do things! Seeds have been started indoors and seem to be progressing well. Trying to be very patient! 1st spring with a greenhouse/recycled window She Shed. 😉 Ground is a muddy mess … 3 inches of ice pack finally melted off the garden area last week!